Brightwell Aquatics Aminomega - HUFA Omega 3/6 Supplement for Marine Fishes 125 ml / 4 fl. oz. Brightwell Aquatics Aminomega - HUFA Omega 3/6 Supplement for Marine Fishes 250 ml /8.5 fl. oz. Brightwell Aquatics Aminomega - HUFA Omega 3/6 Supplement for Marine Fishes 500 ml / 17 fl. oz. 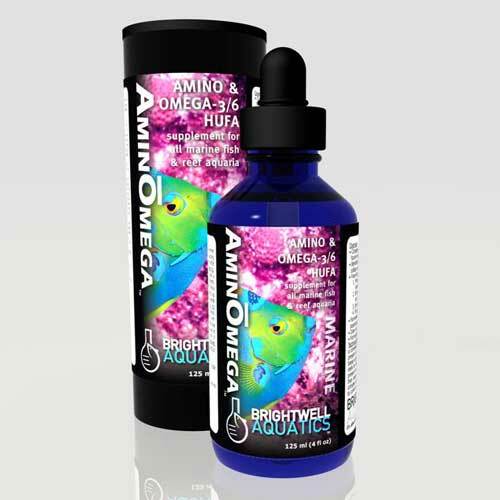 Brightwell Aquatics Aminomega - HUFA Omega 3/6 Supplement for Marine Fishes 60 ml / 2 fl. oz. Brightwell Aquatics CoralAmino - Free Form Amino Acid Supplement for Corals 125 ml / 4 fl. oz. Brightwell Aquatics CoralAmino - Free Form Amino Acid Supplement for Corals 250 ml /8.5 fl. oz. 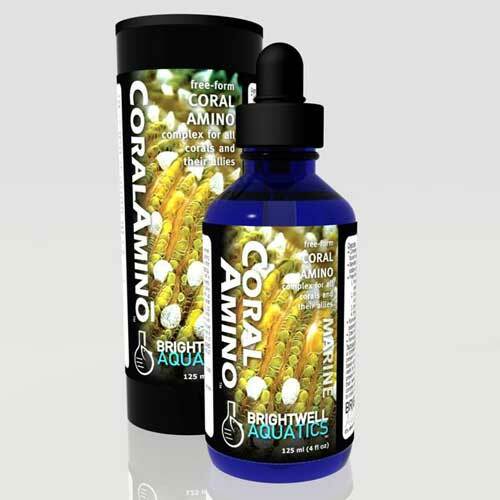 Brightwell Aquatics CoralAmino - Free Form Amino Acid Supplement for Corals 30 ml / 1 fl. oz. Brightwell Aquatics CoralAmino - Free Form Amino Acid Supplement for Corals 60 ml / 2 fl. oz. Brightwell Aquatics Garlic Power - Concentrated Garlic Supplement for Marine Fishes 125 ml / 4 fl. oz. Brightwell Aquatics Garlic Power - Concentrated Garlic Supplement for Marine Fishes 30 ml / 1 fl. oz. 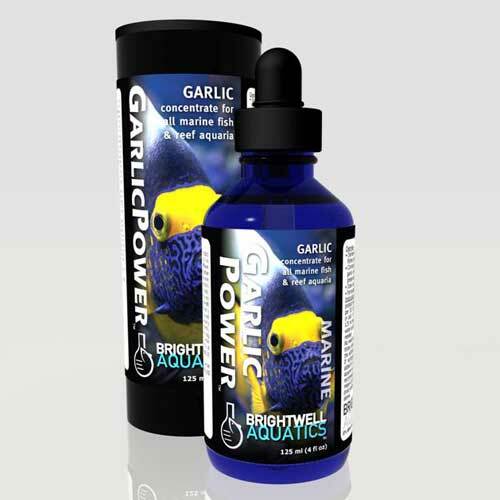 Brightwell Aquatics Garlic Power - Concentrated Garlic Supplement for Marine Fishes 60 ml / 2 fl. oz. Brightwell Aquatics Koralle-VM - Vitamin & Mineral Supplement for Corals, Clams, etc. 2 L / 67.6 fl. oz. Brightwell Aquatics Koralle-VM - Vitamin & Mineral Supplement for Corals, Clams, etc. 250 ml /8.5 fl. oz. 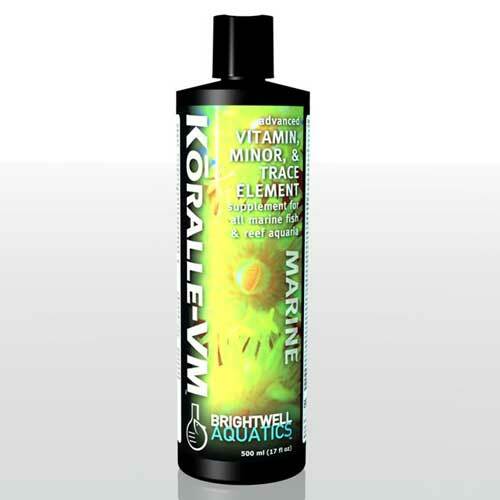 Brightwell Aquatics Koralle-VM - Vitamin & Mineral Supplement for Corals, Clams, etc. 500 ml / 17 fl. oz. Brightwell Aquatics MaxAmino Free-Form Amino Complex for Enhancing Fish Foods 125 ml / 4 fl. oz. 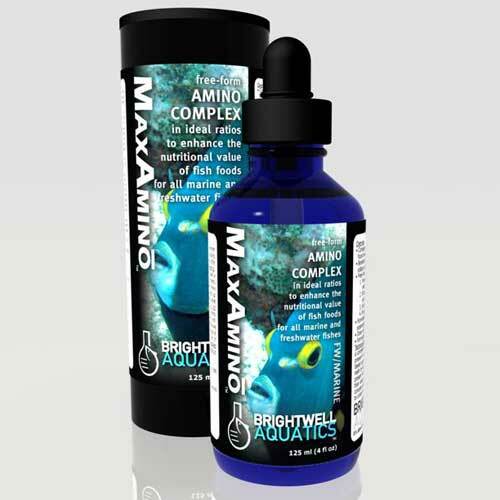 Brightwell Aquatics MaxAmino Free-Form Amino Complex for Enhancing Fish Foods 250 ml /8.5 fl. oz. Brightwell Aquatics PhytoChrom - Color-Enhancing Phytoplankton 1-30 micron 2 L / 67.6 fl. oz. Brightwell Aquatics PhytoChrom - Color-Enhancing Phytoplankton 1-30 micron 250 ml /8.5 fl. oz. 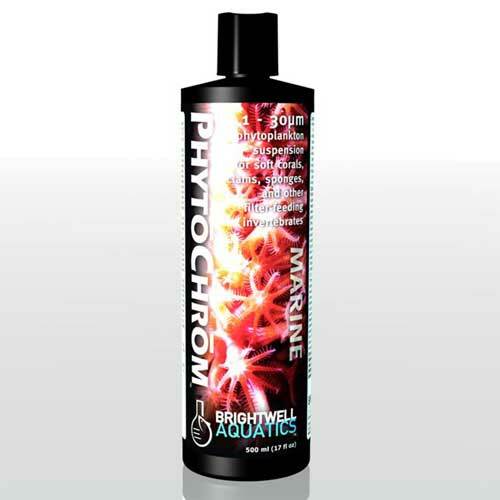 Brightwell Aquatics PhytoChrom - Color-Enhancing Phytoplankton 1-30 micron 500 ml / 17 fl. oz. Brightwell Aquatics PhytoGold-M - Golden Phytoplankton (Medium) 8-20 micron 2 L / 67.6 fl. oz. Brightwell Aquatics PhytoGold-M - Golden Phytoplankton (Medium) 8-20 micron 250 ml /8.5 fl. oz. 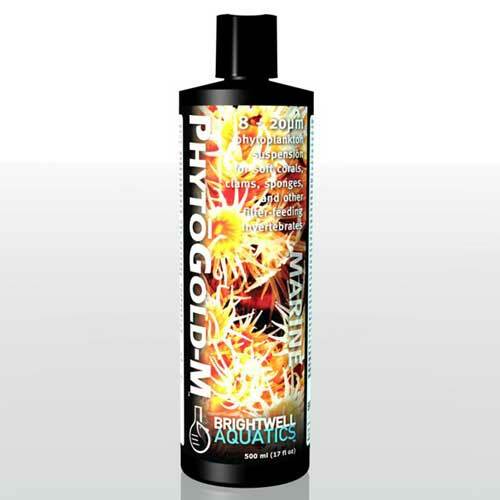 Brightwell Aquatics PhytoGold-M - Golden Phytoplankton (Medium) 8-20 micron 500 ml / 17 fl. oz. Brightwell Aquatics PhytoGold-S - Golden Phytoplankton (Small) 4-10 micron 2 L / 67.6 fl. oz. Brightwell Aquatics PhytoGold-S - Golden Phytoplankton (Small) 4-10 micron 250 ml /8.5 fl. oz. 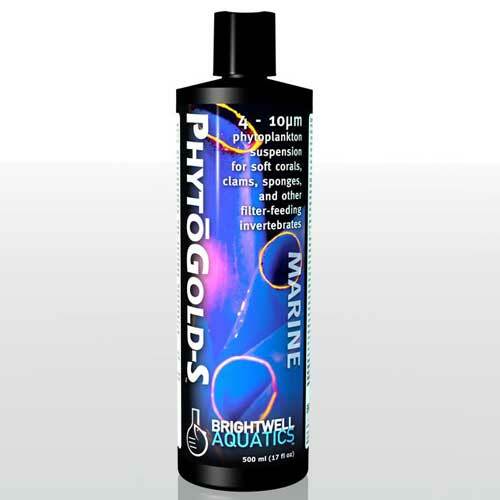 Brightwell Aquatics PhytoGold-S - Golden Phytoplankton (Small) 4-10 micron 500 ml / 17 fl. oz. 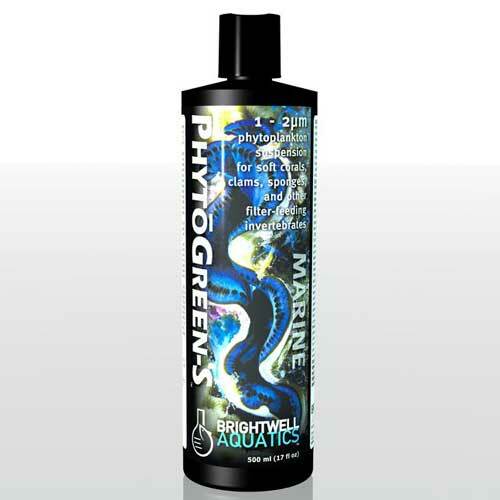 Brightwell Aquatics PhytoGreen-M - Green Phytoplankton (Medium) 10-15 micron 2 L / 67.6 fl. oz. Brightwell Aquatics PhytoGreen-M - Green Phytoplankton (Medium) 10-15 micron 250 ml /8.5 fl. oz. Brightwell Aquatics PhytoGreen-M - Green Phytoplankton (Medium) 10-15 micron 500 ml / 17 fl. oz. Brightwell Aquatics PhytoGreen-S - Green Phytoplankton (Small) 1-2 micron 2 L / 67.6 fl. oz. 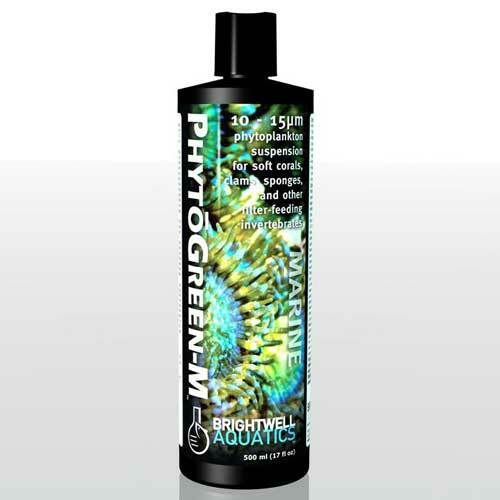 Brightwell Aquatics PhytoGreen-S - Green Phytoplankton (Small) 1-2 micron 250 ml /8.5 fl. oz.